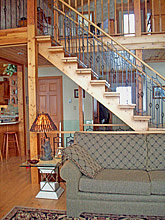 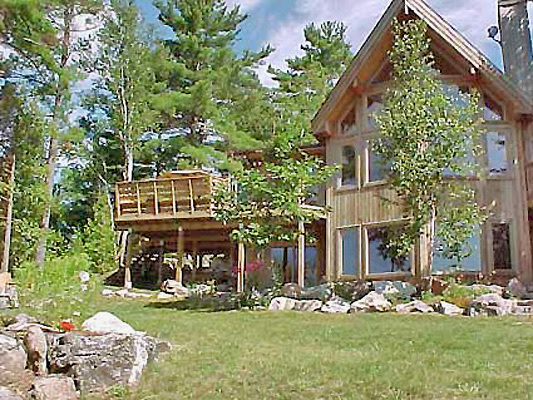 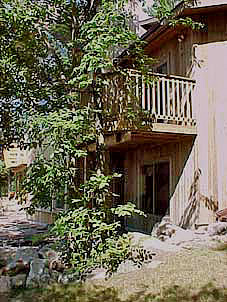 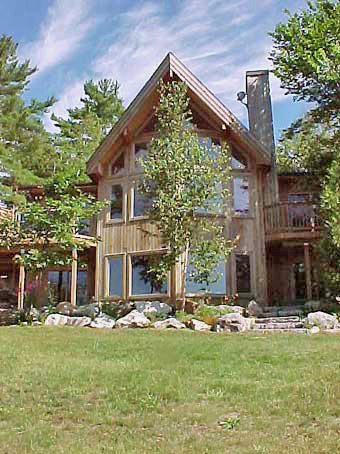 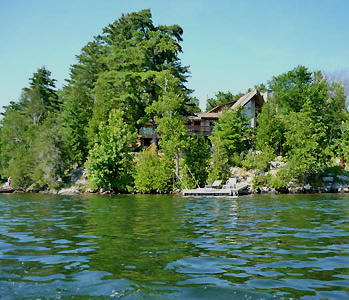 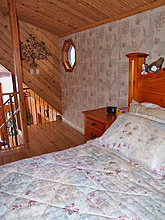 Cottage Quick Check - $4100 per week. 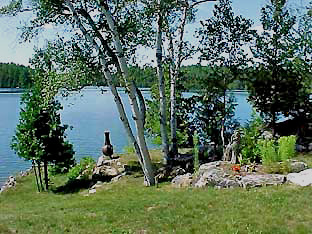 a double kayak and a canoe. 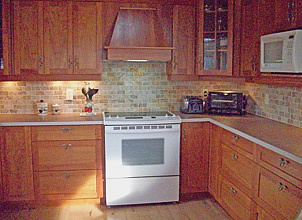 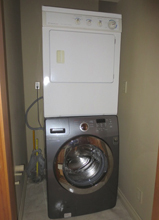 Appliances - Fridge, stove, microwave, toaster, blender, a Tassimo coffee maker, convection oven, dishwasher, washer / dryer, central vac. 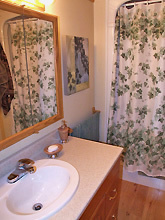 A Private, Classy, Manicured Property !!! 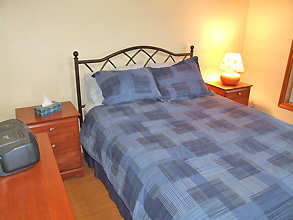 For The Discerning Executive Family !!! 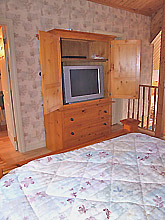 as well as a stereo radio. 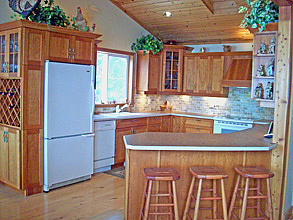 in the kitchen with seating for 3 more. 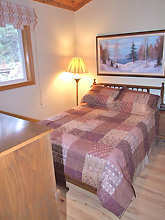 There are 5 bedrooms to sleep 10 in comfort on 3 queen size and 2 doubles. 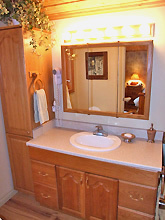 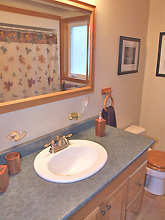 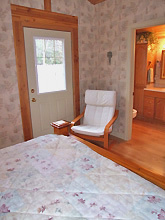 In addition, there are 3 bathrooms for your convenience as well. 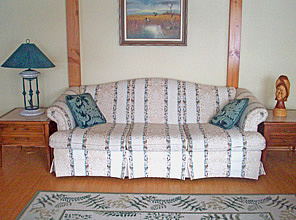 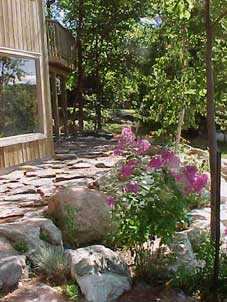 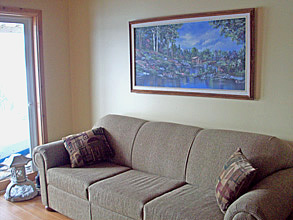 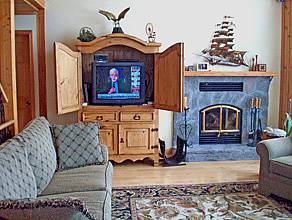 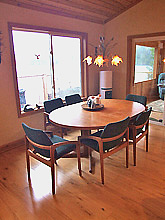 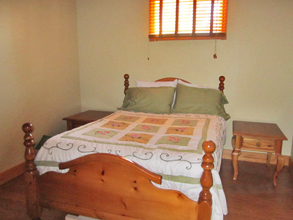 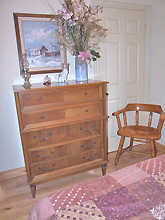 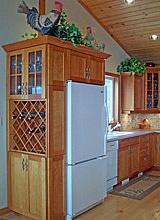 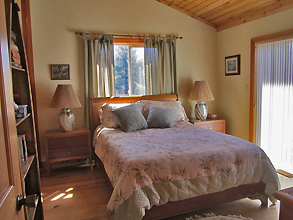 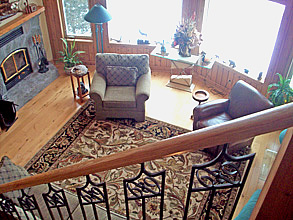 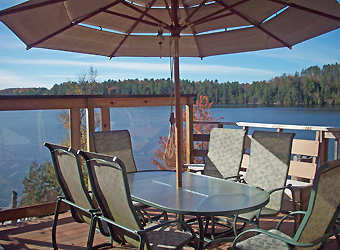 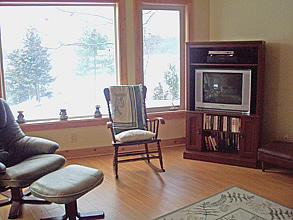 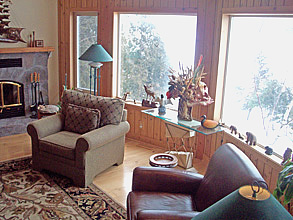 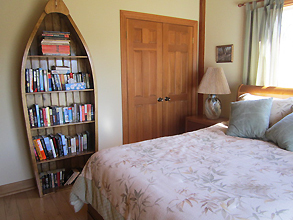 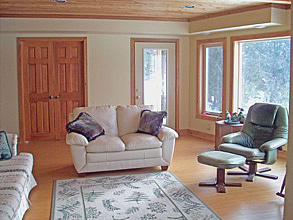 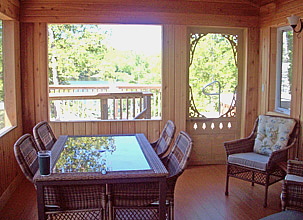 cottage there is a delightful sunroom which is fully furnished with table and chairs. 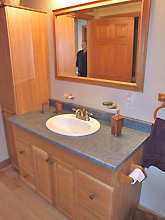 From the pictures below, I think you will agree that this property is magnificent. 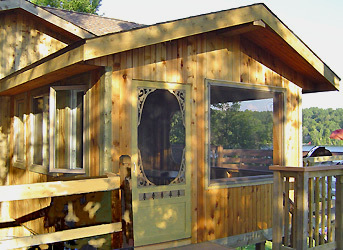 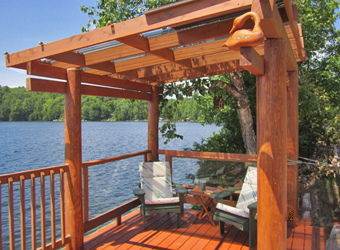 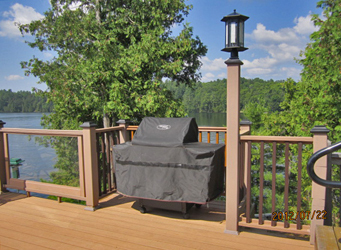 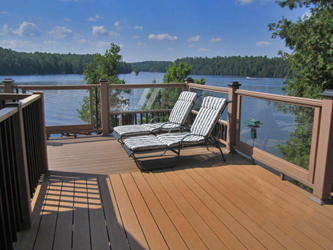 The outside features a furnished deck both at the front and back of the cottage with a hot tub, table, umbrella,15 chairs for your lounging pleasure and a propane barbeque for the Chef de Steak and Burger. 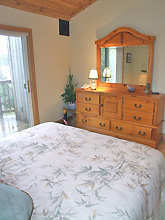 This nicely groomed property has plenty of grassed play area for the kids and the shoreline is child friendly too with a gradual entry beach and sandy bottom for your swimming pleasure. 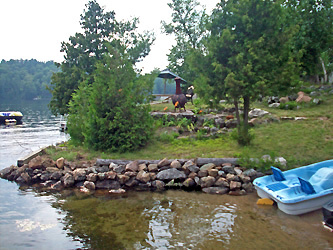 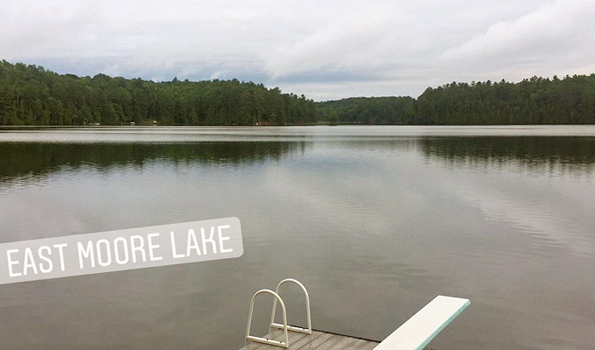 In addition there is a paddleboat, canoe, 2 single kayaks and a double kayak for your use at the dock so bring your fishing gear, the bass are awaitin'. 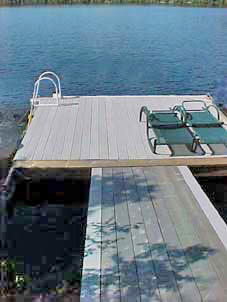 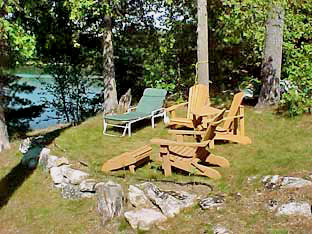 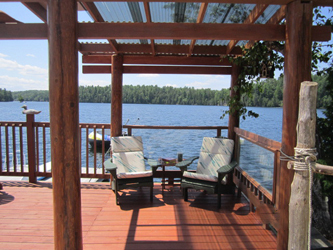 In addition there is a second dock which is large enough to sit on for the serious sun bathers in the family. 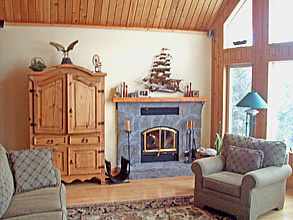 And there is a chimenea fireplace as well for those evening marshmallow roasts which are so popular with the kids. 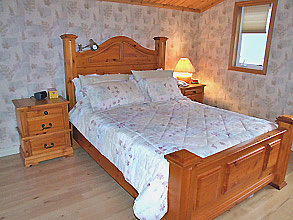 Needless to say, this cottage is exceptional and will surely become a favorite of our regular clientele. 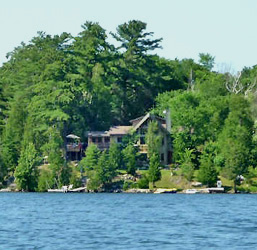 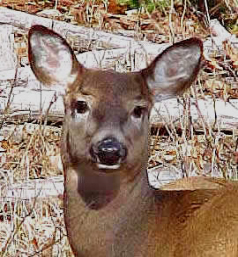 which makes it convenient for those coming from Toronto and the surrounding area.